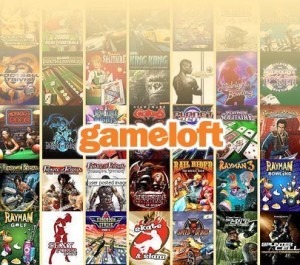 Next time you want to purchase a game from Gameloft, you may want to pause and reconsider: their official policy is to tie app purchases to the device and phone number - and it's strictly enforced. We received an email from a peeved Gameloft customer who found this out the hard way, and we'd hate to see anyone else encounter the same (frankly ridiculous) issue. I just purchased a new Android phone and want to use all the software I previously purchased on my new phone. Old Phone HTC My Touch 4G. New phone LG G2X. I was able to re-download the Gameloft titles that I purchased from the Android Market to my new phone but couldn't do so for the titles purchased directly from your website. Their response: sorry, but you're S.O.L. The purchase is tied to your phone number and device. Unfortunately, you can not get the games back on your new phone. According to Gameloft policy if you buy a game, you can re-download it to the same phone with the same phone number within 3 years of your purchase. If the phone model or number was changed by the customer's own initiative, Gameloft has the right to refuse re-sending the game. You can not re-download or transfer games which you bought on your old phone (HTC My Touch 4G) to the new phone (LG G2X), because we produce each game-build for one particular phone to ensure the best quality and to prevent piracy. If you want to have games on your new phone, I'm afraid you will have to buy them again. Sorry for the inconveniences. If you have any other questions, please let me know. Not exactly a customer-friendly approach, to say the least.